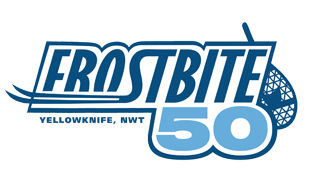 The Frostbite 50 involves both physical and mental endurance. As an outdoor event, the weather may be uncomfortable and participants agree to protect themselves from the effects of weather with appropriate clothing, equipment, and accessories. Participants are to be responsible for their own safety and well-being at all times. To keep the event safe and fair, and to set a good example for anyone out skiing so far from town, we require that the following items be carried by all participants, throughout the entire event. There will be an equipment check prior to the event, and random checks throughout the event. Overlander Sports can help supply these items. Remember that this is an event, not a race. We want everyone to have fun and finish safely! Note: Hydration bladders and Nalgene type bottles are not acceptable as they will freeze! A note on food – for an event like this, you should be planning on eating at least 200 calories per hour, and drinking a litre every 2 or 3 hours. Ideally, bring food that is high in carbohydrates, such as granola bars or energy bars, and have your thermos filled with warm energy drink. The 1000 calories is certainly not enough to get you through the event, it is a bare minimum in case of emergency. You may have someone meet you at a checkpoint with extra food. A note on clothing – Temperatures and wind in March are very unpredictable. Temperatures for this event have ranged from -5 to -40 Celsius. We suggest layered clothing, breathable fabrics, and protection from wind for your face and neck. There is a delicate balance between carrying enough clothing to be safe in case of emergency, and travelling light and not sweating. PLEASE train properly for this event, to try out your clothing at the pace you plan to travel. Changing clothes at checkpoints is fine with us, but you have to organize this yourself.